The Cadillac stand at the 2012 Paris auto show. 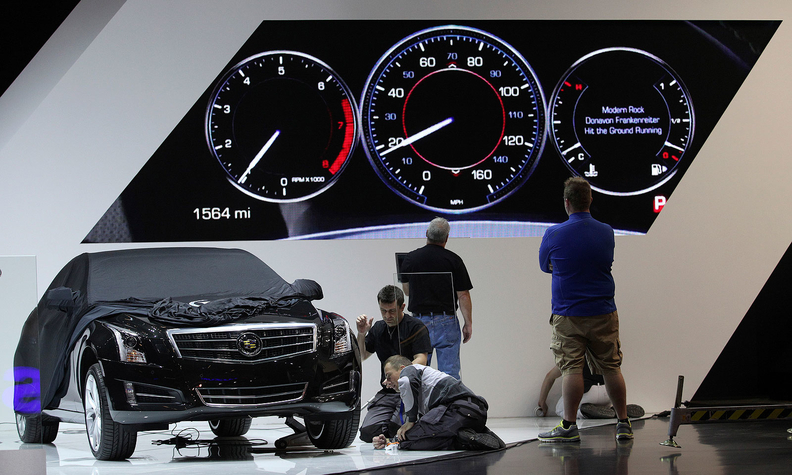 Cadillac has spent a decade trying to gain traction in Europe against BMW, Mercedes-Benz and Audi. The three German juggernauts account for roughly 85 percent of the region's premium market. General Motors will remain a niche player in Europe after it closes on the sale of its Opel/Vauxhall operations to PSA Group in a deal valued at $2.3 billion. The automaker plans to continue competing in the European premium market with the Chevrolet Camaro and Corvette as well as Cadillac, according to GM CEO Mary Barra. Cadillac has spent a decade trying to gain traction in Europe against BMW, Mercedes-Benz and Audi. The three German juggernauts account for roughly 85 percent of the region’s premium market. Each sold between 820,000 and 840,000 vehicles in the region in 2016, according to the Automotive News Data Center. Cadillac’s 45 dealerships in Europe -- mostly in Germany and Switzerland -- sold just 781 vehicles last year, up 33 percent from 2015, according to GM. Cadillac is continuing with plans “to considerably increase” its dealership network “over the next few years,” spokesman Andrew Lipman said. The brand wants to reach 5,000 annual sales in Europe by the end of the decade. That includes sales of the Chevrolet sporty cars, which are sold in some dealerships with Cadillacs. 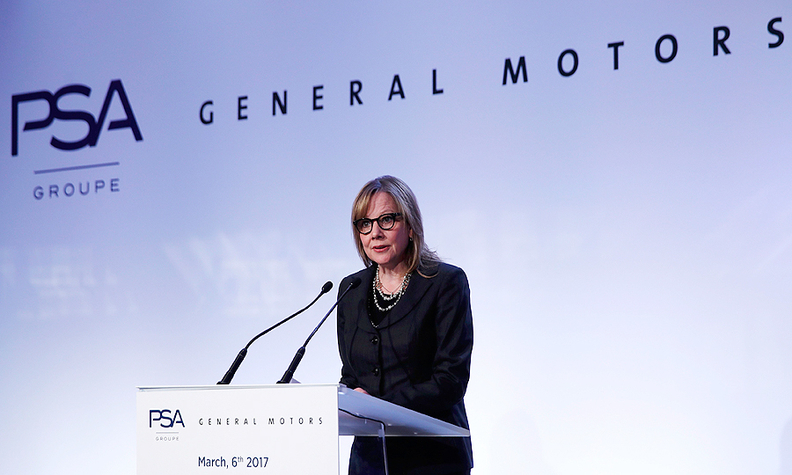 Mary Barra: "We continue to grow the Cadillac brand. We'll continue to do that in a very disciplined fashion." Rebecca Lindland, senior analyst for Kelley Blue Book, questions whether Cadillac should remain in Europe after GM’s mass market exodus. GM said it sold just more than 1,800 Corvette and Camaro cars in Western Europe last year. Cadillac’s European lineup includes the ATS compact sedan and coupe; CTS midsize sedan; CT6 full-size sedan; XT5 midsize crossover; and Escalade full-size SUV. The ATS-V and CTS-V high-performance versions also are available. GM’s plans to remain in Europe with the Chevrolet sporty cars and Cadillac are similar to its plans for Russia, which included focusing on the premium market with Cadillac. The brand’s current lineup in Russia includes the CTS/CTS-V, XT5 and Escalade/Escalade ESV.